The Community Foundation of North Central Washington announces two new members have joined the Methow Valley Fund Advisory Board: Danica Ready and Julie Tate-Libby. Danica Ready has lived in the Methow since 2001 and holds degrees in education, geology, and conservation biology. Her professional experience includes community outreach, organizational development, fundraising and public relations. She has been involved in the Valley’s non-profit community as staff, volunteer, and board member. Danica believes that our community has great potential to increase the capacity and impact of Methow Valley non-profits, and sees the Methow Valley Fund as a tool to simplify and amplify the philanthropic wishes of Methow Valley supporters. 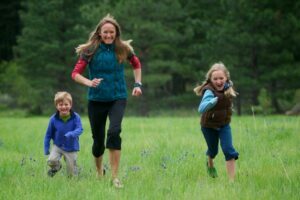 Danica loves to bake, hike, run, ski and climb with her kids and friends, and her most recent passion is poetry. She is the Program Director for the Methow Valley Sport Trails Association and lives near Mazama. Julie Tate-Libby grew up in the Methow Valley. Following completion of her Masters, PhD, and extensive travel, she returned to the Methow Valley to raise her family. 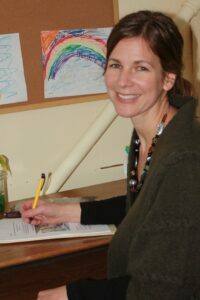 Julie’s research and writings are strongly focused on the role of place in our lives. She has studied and written about amenity migration, specifically in the Methow Valley. She feels that broad involvement in community is integral to a sense of belonging and place, and because of this, Julie is drawn to working with the Methow Valley Fund. Julie teaches anthropology and sociology at Wenatchee Valley College, and lives with her family near Carlton. The Methow Valley Fund was established in 2006 in partnership with the Community Foundation of NCW to serve the specific needs of the Methow Valley through its nonprofit organizations. Its mission is “sustainable funding for a healthy, vibrant Methow Valley”. The Fund is advised by a diverse group of local volunteers that live and work in the valley and are passionate about the charitable work being done in the community. They have first-hand knowledge of local needs and opportunities. A permanent endowment managed by the Community Foundation, the Methow Valley Fund offers grants up to $5,000 each spring to fund nonprofit projects that address community needs. In 2012, the Methow Valley Fund awarded $42,800 to 20 nonprofits in the valley, including Aero Methow Rescue Service, Classroom in Bloom, Merc Playhouse, Room One, and more. The Community Foundation of NCW is currently accepting grant applications for the Methow Valley Fund with a deadline of January 15. Applications are now open for nearly 70 scholarships from the Community Foundation of North Central Washington. Scholarships vary in criteria and intent and are available to high school and college students in Chelan, Douglas and Okanogan counties. Application deadline is February 15, 2013 (unless otherwise indicated in scholarship description). Awards are distributed for students planning to attend college or university in the fall of 2013. Each Community Foundation scholarship is unique, with varying GPA and extra-curricular requirements. Many of the Community Foundation scholarships seek to assist students that may have struggled, but express intent to work hard to achieve their educational goals and dreams. Community Foundation scholarships are created for many reasons – in memory of a loved one, to honor a special skill or field, or to provide assistance to those who need it most. Scholarship funds at the Community Foundation are established during a lifetime or are a fulfillment of one’s will. They are invested and grow over time so they can be offered to students for years to come. In 2012, the Community Foundation of NCW awarded over $341,000 to 260 students now attending college or university. The Woods Family and Woods House Music and Arts Fund has awarded $36,800 to local nonprofits to support and enhance music and arts culture and education in the community. Up to $5,000 is available to 501c3 nonprofits that provide music and/or arts related services to support citizens in Cashmere, Leavenworth, Wenatchee or East Wenatchee. The grant was established to provide support for local music and arts that focus on: fostering and improving cultural awareness and education; music performance; music education direction; participation in coordination of regional arts events; or seminars and workshops for music educators and art professionals. The grant is available annually through the Community Foundation of NCW with applications being accepted August 1st and deadline August 31st. YWCA Wenatchee Valley $2,600 – staffing and promotional costs for six month of Open Mic and Klean Karaoke at Café AZs. Of the 31 applicants, 5 finalists were selected for final interviews that were conducted in early September. The finalists were: Methow Conservancy, Methow Valley Sport Trails Association, Okanogan Transportation and Nutrition, Upper Valley Connection, and The Women’s Resource Center. “They are all outstanding organizations,” said Stipe, “it was a really hard decision for our board to make.” The award winner was announced at the 3rd annual Board Celebration Dinner at Sun Mountain in Winthrop and presented to the board president, Midge Cross. “We think we are a pretty cool organization,” said an enthusiastic Cross, “and you guys haven’t seen anything yet!” The Endowment Grant provides the MVSTA a permanent fund at the Community Foundation of NCW that will give them permanent, annual income. As the fund grows through gifts and investments, so will their income, giving the MVSTA greater sustainability and potential for impacting their community long term. The MVSTA provides 120 miles of recreation trails across the Methow Valley. “These trails are the life blood of the local economy, which contributed an estimated $13.5 million in the 2011/2012 season” stated their grant application. MVSTA saw the most trail use ever during the last season, with 45,000 skier days and anticipates over 45,000 users this summer. Their trail model is recognized nationally for sustaining a vibrant economy and promoting healthy living. They just secured new office space close to one of the main trailheads that will now give them more exposure and better opportunity to meet and interact with trail users. The criteria evaluated for the endowment grant included: the organization makes a significant impact in the community served; the organization has an endowment grant as part of their strategic plan; fiscal board participation and commitment from their board; and receiving the grant would move the organization to the next level. “We are truly honored to have been chosen for such a substantial award” said James DeSalvo, MVSTA’s Executive Director. “The significance of an endowment to our organization and our community is truly inspiring. While I was excited to tell our board and our staff about this award I was most excited to tell my kids since they are the true beneficiaries” Said DeSalvo. The Community Foundation of NCW plans to offer an endowment grant every other year and any 501(c)(3) nonprofit organization is eligible to apply. The Community Foundation of NCW (CFNCW) has awarded $99,921 in grants to 28 nonprofits across North Central Washington through the fall cycle of its Regional Impact Grants. This cycle’s grants will fund programs to support military families, provide laundry services for the homeless, bring legislative sessions into the classroom, help with children’s reading programs, expand access to art, and much more. Regional Impact Grants, offered twice a year in spring and fall, provide up to $5,000 in funding for general programs, special projects, start-up funding, and small equipment. Any 501(c)(3) nonprofit organization in Chelan, Douglas, or Okanogan county is eligible to apply. Grant applications are reviewed by the CFNCW grants committee, comprised of select board members and staff, who visit each applicant to review the proposal, ask questions, and learn more about the project or program for which they are requesting funds. All final grant decisions are made by the Board of Trustees. AmeriCorps volunteer to head a program to support local military families, local veterans, and local service members. Recondition bronze sculptures that are part of the permanent community collection. Automatic External Defibrillator (AED) training at several sites throughout the area severed by the center. Audio/visual equipment and advertising to increase visibility in the community. Recruit and train mentors for Adolescents in Transition to Education and Employment through Mentoring (ATEEM), specific to foster youth. Matching grant for general operations. Picnic tables for the Pateros Pedestrian Mall. Raising Slumbering Voices Project recording memories of Entiat’s longtime residents, a partnership with Entiat Schools. HVAC testing equipment to allow better monitoring of resident’s rooms. Scholarships for Westside and Manson High students to attend JA World in Yakima. Earn While You Learn program that offers an award of new baby equipment upon completion of 12 classes of prenatal/newborn parenting education. Renovate a portion of the basement for additional displays. Initiate Phase I of a construction project addressing water drainage issues at Singleton Park. Access to Art, an arts education partnership in Okanogan county for school districts outside the Methow Valley School District. Update office infrastructure to allow networking and remote access. Series of 3 performances for 2012-2013 for students and the general public. AmeriCorps volunteer for the 2012-2013 school year to focus on improving student reading skills. Washer and dryer for the ministry center to launder used clothing for free giveaway to the poor and also to provide a place for the homeless to do laundry. Connect Program, a “train the trainer” program educating community members to recognize and respond to suicide warning signs. Capital Classroom for Wenatchee High School, connecting legislative sessions to the classroom. 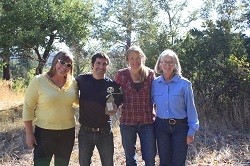 Support 3 participants from Chelan County to attend the National Preservation Conference in Spokane. Support for 2013 Jazz Festival. Maintenance, insurance, and expense involved with 3 vehicles used to transport equipment, personnel, and other items that directly support the local mission.